From I-5: Take exit 228, HWY 34 and head west towards Corvallis. At HWY 20, turn left at the light where the sign points you to Newport and Reser Stadium. Continue on HWY 20/Philomath Blvd until you reach Philomath. Go left at the first light (19th st). Go two blocks, then turn left onto Applegate St. High School parking lots are two blocks ahead on your right. Take the running trail that extends behind the high school south towards the middle school and transition area/registration area. 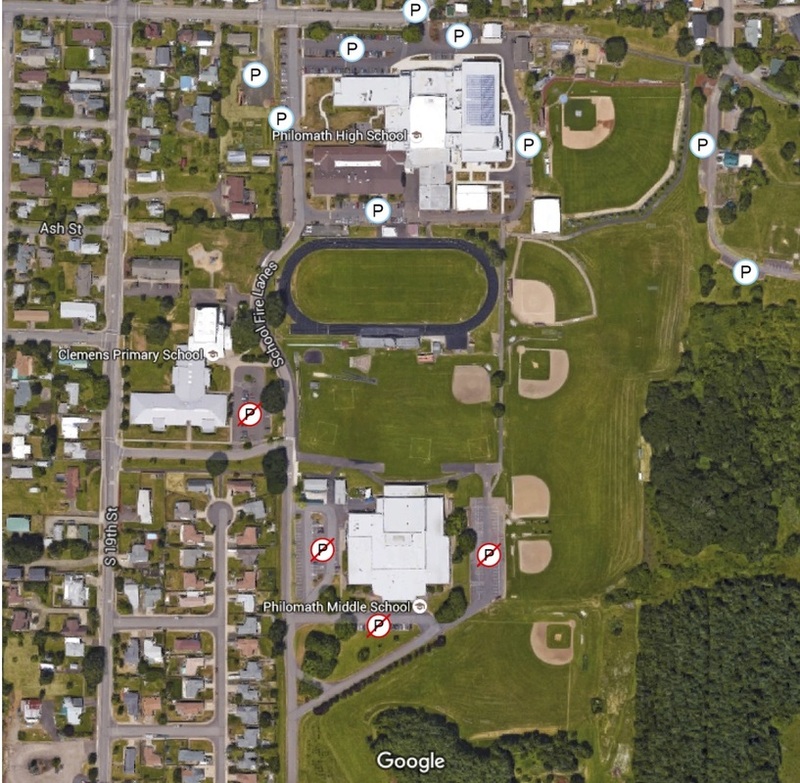 You must park at the Philomath High School, which is just north of the middle school. Parking is not allowed at any of the middle school parking lots due to church services. Unfortunately, violators will be towed. From the high school parking lot, follow the trail along the baseball fields south to the transition area.